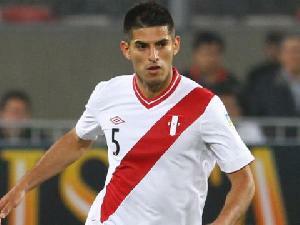 Playing For: Peru. On loan from Eintracht Frankfurt. 21 Jun 2015 Copa America Group Stage v Colombia at Temuco. Gave away a few silly needless fouls. Struggled badly with the movement from the Venezuelan forwards, as did the whole Peru defence, allowing himself to be dragged out of position too often. 18 Jun 2015 Copa America Group Stage v Venezuela at Valparaiso.